As the University of Cincinnati ventures into its third straight Championship Game of the American Athletic Conference, I’m not certain there is much I can offer by way of predictions. If this season has taught us anything, it is that some teams are confounding. The only observable through line is success in tight games, as this UC team has found a way to win 11 out of 13 games by fewer than 5 points. Sure, there’s data suggesting players will score an average number of points each game. Maybe you’ve heard the expression that, most of the time, teams and players will “play to the back of the baseball card.” However, this season hasn’t exactly played out like that. Against better competition, the Bearcats leading scorer, Jaron Cumberland, either contributes 25 points or more (Ole Miss, UCLA, USF, Temple, Houston 1, Wichita State 1, Memphis 2, SMU 2) … or he scores 12 points or fewer (George Mason, UNLV, NKU, UCF 1, SMU 2, UCF 2, and Wichita State 3). In other words, the AAC Player of the Year is either predominant or pretty good. Likewise, Tre Scott is averaging 9 points a game on the season, yet he has played well above his average of late – scoring about 13 points in each of the last five games (8, 20, 7, 17, and 12). The only player who has played close to his average down the stretch is Cane Broome. So, where will UC’s offense come from this afternoon? With the Bearcats averaging around 72 points a game, Cumberland will either account for 17% or 35% of the offense. Clearly, this afternoon’s outcome (and who will lead the way, offensively) is a mystery. Mick Cronin’s squad faces a Houston team that has only lost two games all year and features one of the more prolific scorers/leaders in the nation in Senior Corey Davis, Jr. What’s more, the Cougars outrebounded UC, collectively, by a margin of 20 rebounds over the two previous games. As you may be painfully aware, the Bearcats lost both of those games, including a 16 point drubbing at home. The AAC Championship Game tips at 3:15 PM on ESPN. Should the University of Cincinnati prevail, it would be the first repeat conference title for the Bearcats since 1995-96. 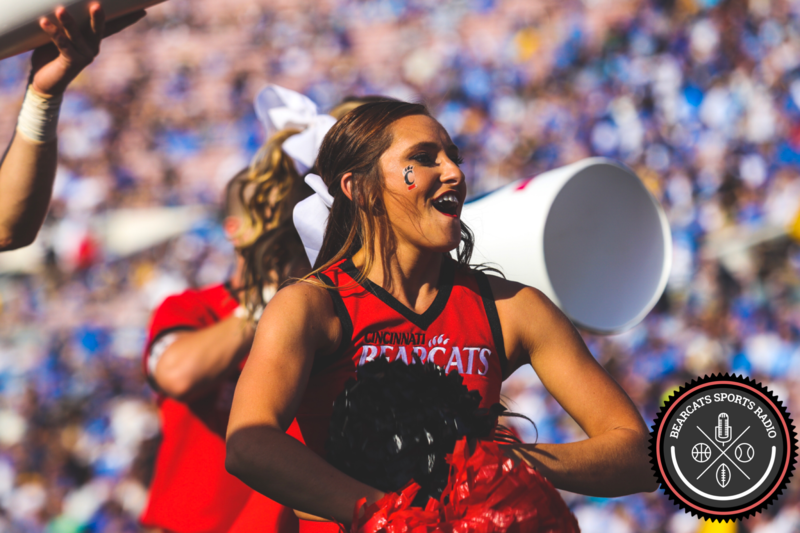 For more real-time coverage of the Bearcats, food takes, and dad jokes, follow along on Twitter: @BearcatsRadio.